As the big game between Oklahoma State and Oklahoma has concluded with a 44-10 victory for the Cowboys, they currently sit at #3 in the BCS and #5 in the coaches poll. Their solo loss was to Iowa State in double overtime, against a Cyclone team that also pulled off an impression victory over Texas Tech but wound up barely becoming bowl eligible. The Cowboys sit at 2nd in the nation in passing yards and points per game. On the other hand, their defense ranks below the top 50. 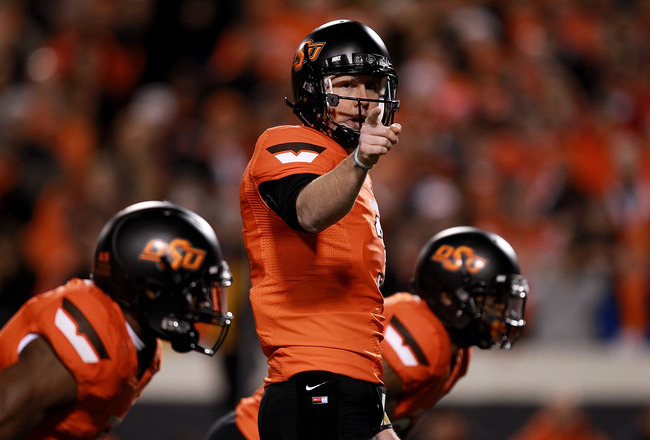 Heisman hopeful, Brandon Weeden, and NFL top-prospect, Justin Blackmon, hope their offensive fireworks can push the team to the championship game. So how about Alabama? Currently, they are ranked 2nd in the nation in all polls. Their one loss was a 9-6 overtime loss to #1 LSU in a conference that is arguably the toughest in the nation. They pulled off wins against Penn State, Arkansas, Florida and Auburn (all of whom will be making significant, non-BCS bowl appearances). 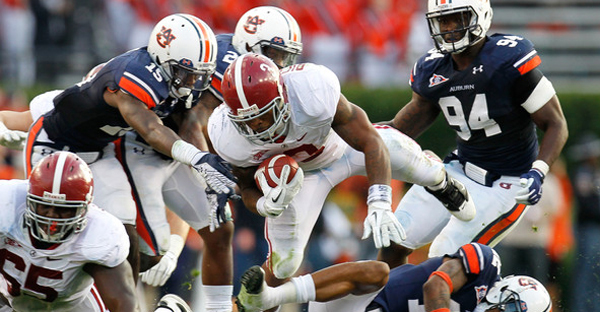 The Crimson Tide boast the stingiest defenses, only allowing 8.8 points per game. They have the potential Heisman winner, Trent Richardson, leading one of the nations top rushing offenses. Who deserves the bid? With Alabama not playing in their conference championship, you would think Oklahoma State getting the spotlight at the end of the season against #10-ranked Oklahoma would be enough evidence. Then again, OSU is not playing in a conference championship game since the conference dropped down to 10 teams. Both offenses boast top-3 abilities in either rushing or passing, but the Alabama defense has significantly better stats and held the current #1 team to only 9 points. Besides the Oklahoma game that just finished, OSU allowed an average of 33 points per game against ranked opponents and only one of those was in the top 10. Alabama, in its 5 games against ranked opponents, averaged 22 points per game allowed, though the one top 10 opponent was in the loss to #1 LSU. Alabama seemingly has the edge and the coaches are probably going to be chomping at the bit to see a rematch between the teams that clashed in a defensive struggle earlier in the season. This type of challenge calls for the review of the BCS entirely. One argument is that the BCS takes account many different statistical categories to help predict who should play in the championship game. Although it reduces the number of challengers significantly quicker than a playoff system, it has followed closely with the same preferences highlighted by the coaches poll. With teams getting eliminated so quickly, there are many who would like to see a comeback by a team just on the edge of greatness or fairness for teams that match the records of the championship selections getting a chance to compete. In college football history, there have been a number of shares of the national title because too many teams crowded the top of the polls. The other argument sets up the idea for a playoff system. If college basketball and the NFL do it, why is college football so different? It would be amazing to see the top 6-12 teams compete for bragging rights. The biggest hinderances to making the change are the population invested in the BCS and the existence of so many bowl games. Ignoring the first reason, sponsors and schools rely on the vast number of college bowl games between December and January. Teams that make the grade of 6 wins get a chance to earn a bit of extra money and sponsors are looking for their cut as well. Even with the number of commentators out there that think the number of bowl games has gotten out of control, college football at an individual institution is most profitable when it gets to play that one extra game. I personally would love to see the two systems merge. 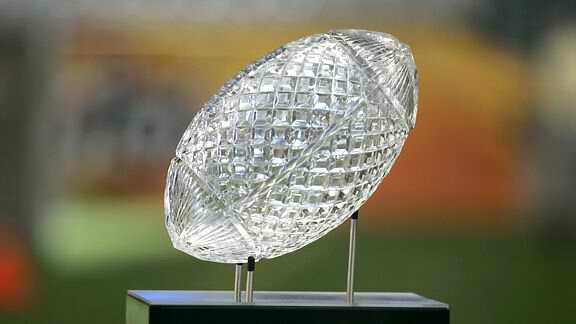 It seems impossible, but the BCS could simply serve as a method for tracking the legitimacy of making the playoff. Then the major BCS bowl games could get turned into the individual playoff sites. In order to host enough games to at least play a 6-game playoff, the bowls that would be used would be the Fiesta Bowl, Sugar Bowl, Rose Bowl, Orange Bowl, Cotton Bowl and Gator Bowl. The 6 games would rotate between the first 4 games in the quarterfinals and the 2 games in the semifinals. The championship game would then be at one of the six locations on a rotating basis. The other bowl games could take place, but this system would diminish the significance of the other major BCS bowls. Another option would be to set a playoff series that only includes the winners of the four BCS games. They would each get at least one more game that would also increase each school’s revenue. The semifinal playoff would actually allow for either the rebranding of two other bowl games or the creation of two. At least the national champion would be someone who won a major BCS contest. I do not know when we will see a playoff series, but this year may be another example of why we need one.